McCree brings our team approach for building to every project we do. This is especially true with the Construction Management (CM) delivery method. CM work is very similar to design-build in that the architect and the contractor are involved in the project together very early on. However, there are still two separate contracts between the entities. 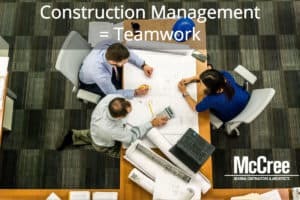 In the CM relationship, the architect involves McCree early on in the design process to discuss matters such as construction type, materials, standards and functionality. We have long working relationships with multiple architectural, engineering and construction-related consulting firms throughout Central Florida. The early collaboration of the consulting professionals and the contractor provides a more likely outcome that the project will be kept on budget and on schedule.